We go through huge jars all the time. So I figured it was time to make it myself! Control the sugar, chocolate and salt and keep the preservatives away. 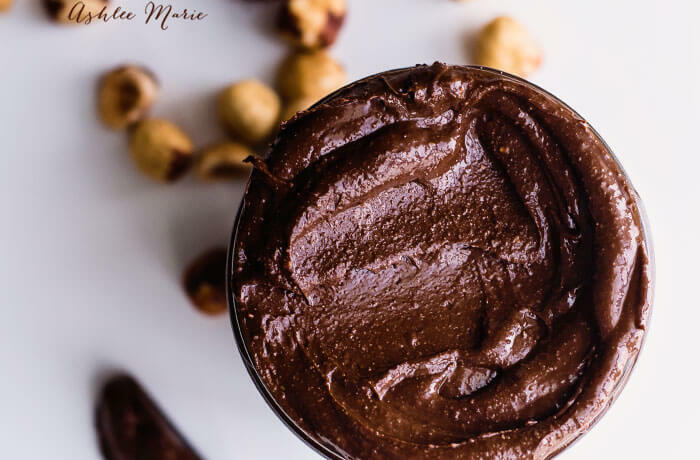 It’s super easy, and only takes a bit of time – the longer you grind the nut “butter”, and the stronger your food processor or blender is the smoother the final product will be. And I HIGHLY suggest roasting your nuts. It will make a huge difference in bringing out the best flavor. If you can find roasted unsalted hazelnuts you can use that instead of toasting them yourself. 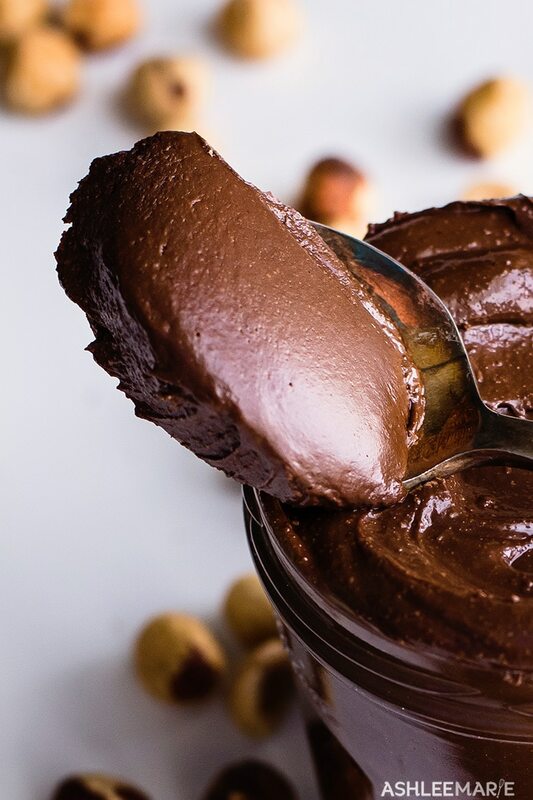 it's easier than you think to make homemade nutella! 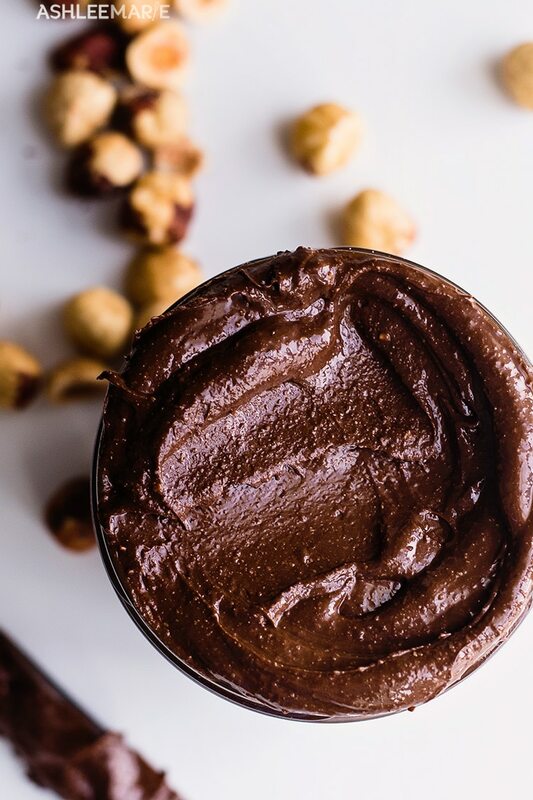 Grind your own hazelnuts - just like many any other nut butter and add sugar and chocolate. spread in a pan and toast the hazelnuts until they're slightly browned and the skin is slightly blistered, 10-15 minutes. 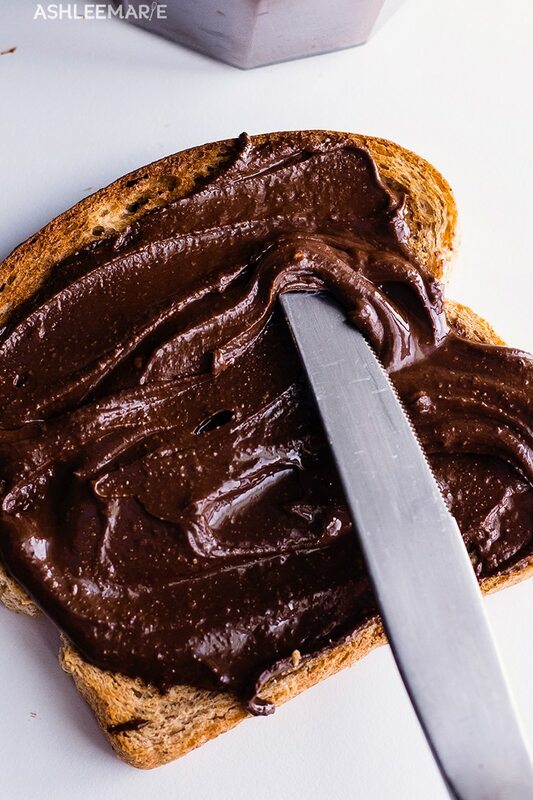 And today is World Nutella day! So along with 12 other AMAZING food bloggers we’re celebrating! 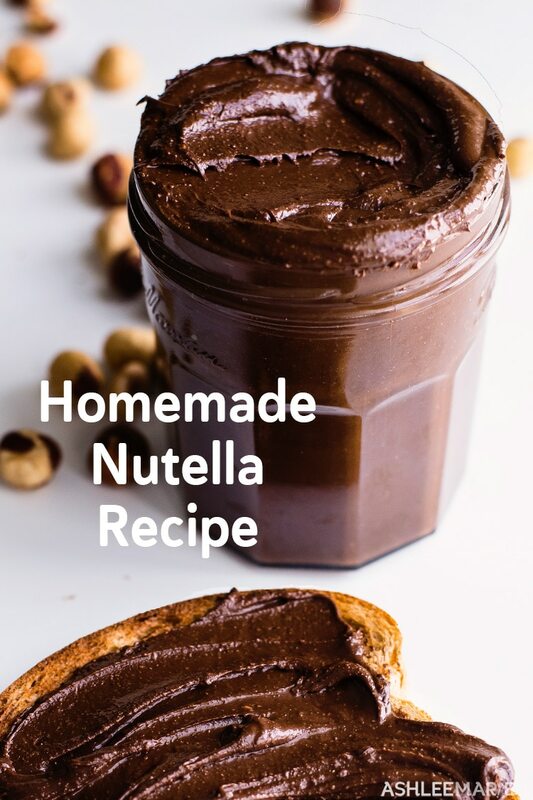 We have 13 NEW nutella recipes and 10 bonus posts! This year we’re having even more fun that last year with our #celebratingfood16 posts, with 6 new food bloggers. Nutella Strawberry Pie – Jamie Cooks It Up! Nutella Krispy Treats – Jamie Cooks It Up! Why have I never made homemade nutella before? This looks incredible!! I wish I had some to lather on my toast this morning! it’s oh so easy! let me know what you think! I’m cracking up about you being able to tell your youngest had gotten into the Nutella because of his dirty face, my youngest is the same way, lol!! This looks incredible! I bet it’s better than the jarred kind, yum! he got into it again today… all over his face and hand… he’s hilarious trying to get away with it. This looks so yummy, and I love that you can control the ingredients! I really want to try and make this now. We love Nutella and I am always buying it. I also love being able to put what I want in it. It’s 8:00 in the morning and I could go totally for a big spoonful of this! I’ve always wanted to make my own, thanks for sharing a great recipe! it certainly never lasts long at our house!